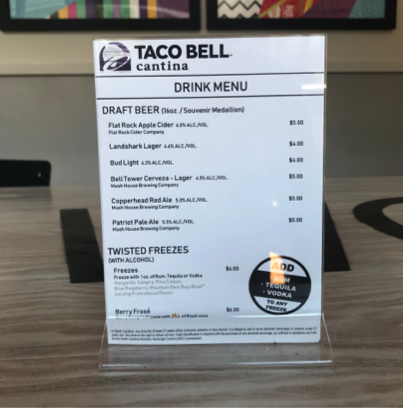 It’s the moment we’ve all been waiting for - the Taco Bell Cantina is finally open on Hillsborough Street! 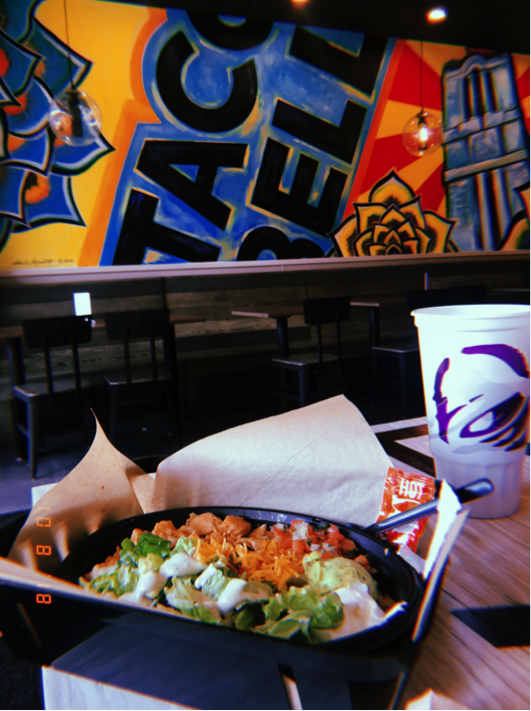 The Cantina has the Taco Bell menu we know and love making it a great place for satisfying and low price food. For NC State students, the location couldn’t be more convenient with it being right on Hillsborough Street across from main campus. The first thing you notice is the outdoor seating, making it a great place to unwind between class or after work. They have a lively atmosphere with eccentric paintings and pictures on the wall with upbeat music playing. There is a mural on the left side as you walk in that was painted by Clark Hipolito, a local artist. The menu offers a variety of options to choose from including the dollar cravings, power menu, crunchwraps, shareable appetizers and all of the classics. The drink menu is the real talk of the town that includes slushies and draft beer. They offer local beer from Mash House Brewing Company and one is even named after the Bell Tower! In addition, Baja Blast fans can rejoice because they can order their favorite drink as a tequila slushie. I decided to try something new and ordered a chicken power bowl. It was ready in less than 5 minutes and was filled with rice, pico de gallo, lettuce, cheese, guacamole and chicken. 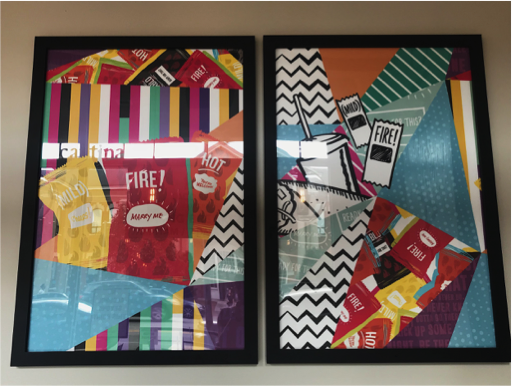 It was was warm and savory, and Taco Bell’s infamous hot sauce was the perfect finishing touch. You can stop by at anytime of the day whether you want a spicy start to your morning or a cool close to your day. The Cantina opens for breakfast at 7 a.m. and closes at midnight during the week or at 2 a.m. on the weekends.